Perry Price is the Executive Director of the Houston Center for Contemporary Craft (HCCC). Prior to his tenure at HCCC. Perry Price served as director of education for the American Craft Council in Minneapolis, Minnesota, where he was responsible for developing and presenting programming and outreach providing thought leadership and cultivating critical thinking on the field of contemporary craft. 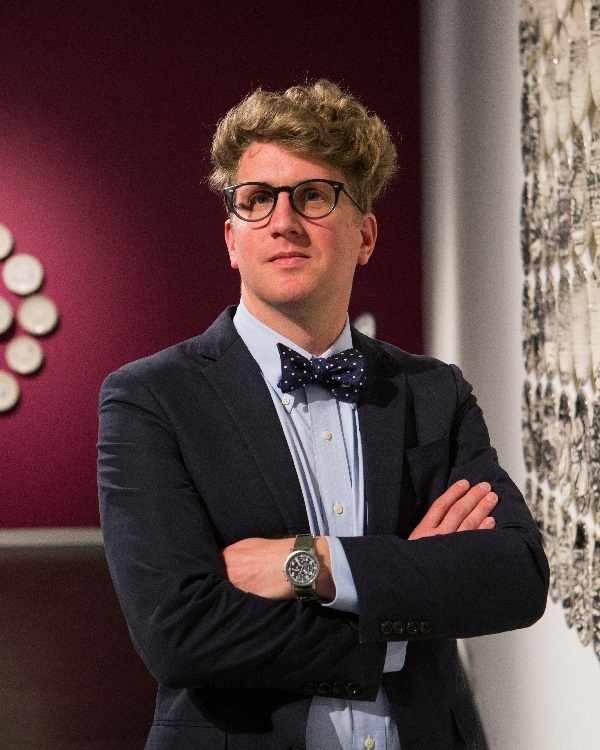 He previously served as curator of exhibitions and collections for Fuller Craft Museum in Brockton, Massachusetts, where he developed and oversaw all aspects of the New England craft museum’s exhibitions and collections initiatives. He is a scholar of contemporary studio craft, material culture, decorative arts, and design, is a frequent contributor to publications and periodicals including American Craft and the Mohawk Maker Quarterly, and appears as a speaker in numerous lectures, conferences, and symposia. For all of her adult life, Pati Young has been involved in creativity and the arts from working in an art gallery in her 20s to graduate school where she studied Art Therapy, which she used in her 15 years of practicing as a psychotherapist. She is currently a trustee for the American Craft Council where she serves on the Committee on Trustees and the Show Committee. She has also served on the Board of the James Renwick Alliance as well as several other arts, humanities and community based organizations. She is an avid collector of eclectic sculptural and wearable art and has enjoyed dabbling in art herself in a variety of media. She’s very committed to the notion that it takes a village to properly support craft and it’s makers.